This morning I was thinking about mother’s day and getting wrapped up in what fun treasures my son may have made at school. What last minute gift my husband might be seeking out. What fun little drawing my daughter might make for me on a card. Then I began thinking about a woman I know who had to bury both of her adult children. This woman does not have a husband to lean on and support her through her grief because he passed away a year after their son did. Her son died days after her daughter’s wedding. Her daughter, my friend, died a year ago and now it is just her navigating life on her own with the support of friends and, I hope, extended family. I sent a token of my thoughts and prayers for her, but there is so much more I wish I could do. I’ve written more than one post on this topic and can’t seem to find the right words to express how I feel. I have deleted all but this one because I just fall short. I don’t want my condolences to sound like pity. While I feel pity for women who have lost their children, it’s something more along the lines of awareness and amazement that do it more justice than a word like pity. I’m amazed that someone who has had to bury their child, regardless of what stage in life they were lost, has the ability to continue moving forward. Finding things to keep you occupied. Finding ways of gaining strength and encouragement through and beyond a loss that is truly unimaginable to me as a mother of two beautiful and vivacious children. I do not take away from the women who blog and post about mundane tasks, bitching and moaning in a way that is entertaining and hilarious to those of us ‘in the trenches’. I’m so proud of mothers who are authentic and real about how life can really be behind the frilly curtains of motherhood. I would like to think it empowers us and brings us a little more together. I just wanted to send out some acknowledgement to a strong, courageous and brave group of mothers that can get lost in all the flower commercials and brunch lists. The women who are mothers without their physical children. Women who will not get last minute grocery store flowers. Leftover last minute pharmacy store cards and gifts. Mothers who will not have a full set of macaroni jewelry to post pics of on Facebook. To these women i’d like to say I think about you. You are in my thoughts. I acknowledge and appreciate as much as I can what you must be feeling. I hope you find a way to gain peace and comfort in something completely luxurious this weekend. Whatever that may be. You are the most deserving of any feelings this Mother’s Day. 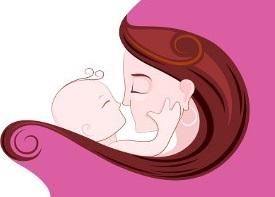 I would like to wish a truly serene and happy mother’s day to all mother’s out there. Big and strong, brave and all. To all of us, we are an amazing team of people who do an unimaginably hard job some days. With or without our children, we are mothers. I am proud to be among the ranks, and I will be thankful this Sunday for whatever it is that is brought my way. Stolen from a Facebook post : “a person who loses their partner is a widow. a person who loses their parents is an orphan. there is no word for a person who loses a child because the loss is like no other” my heart goes out to childless mothers and motherless children everywhere. NextDomesticity ?! With a toddler in tow ?! !